Opus Innovations Ltd was established in 2009 to develop and/or distribute innovative products in the baby-care, infant-care and general healthcare sectors. 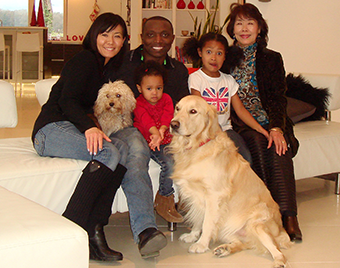 Whilst in Japan launching a product, Bola and Chigusa Lafe discovered an antibacterial water that was safe enough to ingest, safe to use on a new born baby, safe to use on food, safe to sterilise feeding bottles, but it contained no alcohol, harmful chemicals, fragrances or preservatives. Naturally (excuse the pun! ), it seemed too good to be true, but it was very true, and approximately 12 months later, a factory was set up in the UK to manufacture an equivalent product, and Aquaint was born. Opus Innovations is accredited to ISO 9001 and ISO 22716 and was named ‘New Business of the Year 2014’ in the Gatwick Diamond Business Awards. The Gatwick Diamond Business District is home to over 45,000 businesses with a combined GDP of over £19bn. Please visit the ALL ABOUT AQUAINT section to learn more about this amazing and revolutionary product.